If you need a Apple ][ Disks Recovery. service, then contact our friendly company. Apple ][ (Apple 2 se II) floppy disks were typically 5.25 inch. In the 1980s you would have had one of these in your office for word processing / spreadsheets, or your school may have had one Apple and some BBC Micros, but the Apple computer was always the one you wanted to use, with its imposing twin floppy drives mounted under the green monitor and its colourful logo. We are excited to offer a recovery service extract the files and convert them to a more modern format for use in Mac or Windows PC. The files can be converted to excel or Microsoft Word. 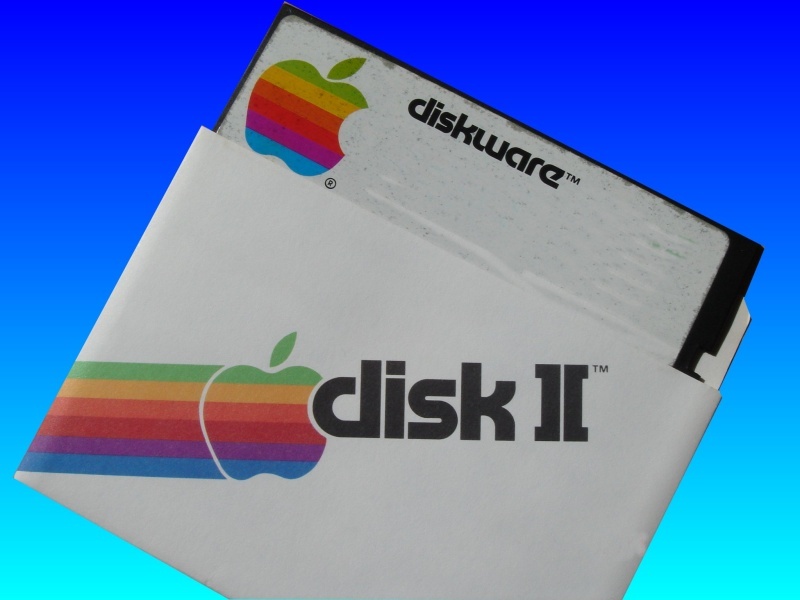 Typically the disks were Single Sided Double Density 140k(140kb).